YOU WERE MADE FOR MORE. You've known it your entire life. In the first 45 minutes of the event, you're going to find out what's been holding you back and just minutes after, you'll be over it and onto success. NOTE: This is the ONLY event of its kind that combines MASSIVE Breakthrough with the actual PLAN and STRATEGIES to make more money with your PURPOSE. Learn to ask God questions about your business and get answers. Listen, I know this sounds a bit “hokey” and perhaps too good to be true. But don’t forget: Ed is a Marine - all about results. We’ve helped hundreds of people with a very simple process that you can learn in minutes. Our events have a near 100% success rate connecting people to their Creator. (Oh...and just so you know. This isn’t a “religious” exercise. It’s a mind exercise...and you can do this no matter what you believe). Discover the PROFIT Centers that drive all successful businesses. My guess is there is one here (that you have been missing) that’s going to add a LOT to your bottom line in the next year. Learn how to motivate, persuade, and influence ethically (and affordably). If you know in your heart that you could “sell” better but don’t like to be pushy or “salesy” then this session is for YOU. Get “Top Gun” INNOVATION secrets.You’ll hear from past attendees how they innovated and are now dominating their marketplaces. You’ll also learn how to peer into your market with X-Ray Vision to gain an unfair advantage on your competition. BONUS SESSION: Listen to Ed & Marquetta as together they discuss their plan for creating a national movement to get our nation back on track. Direct time, attention, and coaching. You may have been to a lot of events where the speaker “disappears” after he’s done speaking. That’s not this event. In fact, we schedule extra time to spend 1-on-1 time listening to you, getting to know you, and helping you with your business. You Will Walk Away 100% UN-Stuck and with a PLAN to Make More Money and Take More Time Off! I am a former F-18 Top Gun fighter pilot who left the service back in 2006 to spend more time with my family of five. Since then, I have launched and sold several business and created a 7-figure income sharing what I know and helping people. 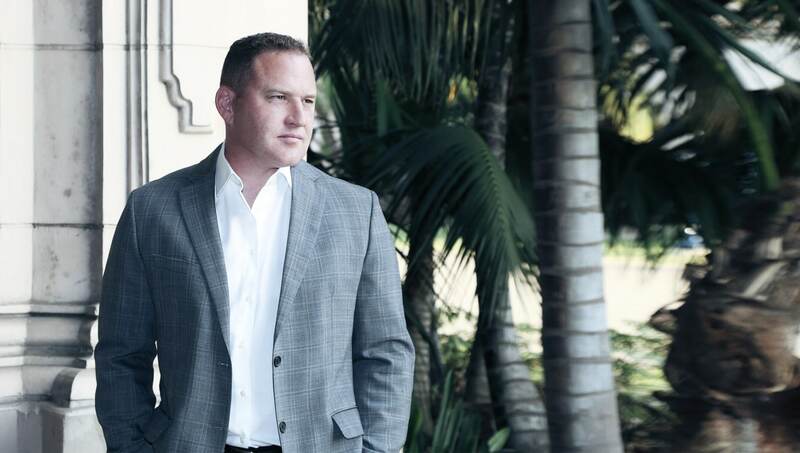 I’m a veteran of over 350 one-on-one consulting deals in every industry imaginable. Clients range from small startups to multi-million dollar – multi-national organizations and include CEOs, founders, political leaders, national universities, Hollywood stars, and one of the contestants on Season #1 of Donald Trump’s The Apprentice. I’m also a 5-time best selling author on topics ranging from Marketing to Mindset. At one point, I was Amazon’s #1 Business Author. Oh…and I failed Kindergarten. So...if I can do this, so can you! Now, you may be wondering...where are the other speakers? Answer: This is a TRAINING event, not a multi-speaker event. I know you’ve been to those events that have one speaker after another- each selling their products (after product, after product). This event isn’t like that. It’s training and content. You’ve probably never even heard of or met the speakers I have asked to come. My guest speakers usually give short 20-min TED-style talks and that’s it. Marquetta Breslin is the co-founder of Breslin Products, LLC. 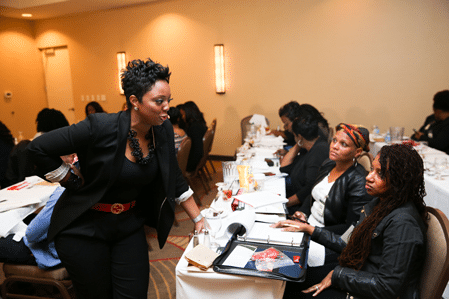 She is a Licensed Cosmetologist, educator, and author of Million Dollar Stylist and Fully Booked. She has educated some of the industry’s top professionals, including Oscar-nominated makeup artists and Vogue Magazine Editorial Stylists. Marquetta has been featured in Sophisticate’s Black Hair Magazine, BNB, Business 2.0, NBC, CNNMoney. com, NBC, and ABC. Her custom lace wigs have graced celebrities, cancer patients, politicians, and Hollywood feature films. 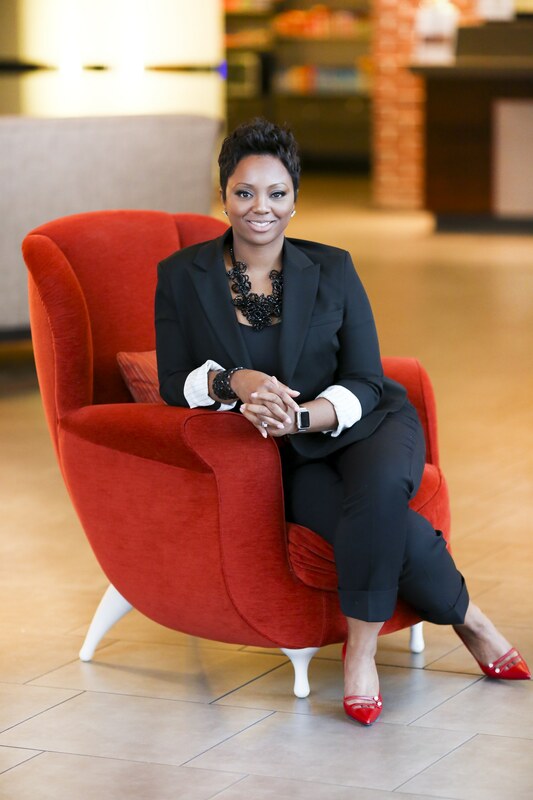 She is the creator of systems such as “Lace Wig Training System,” “Cutting Mastery,” and “Million Dollar Stylist®,” which have reached more than 100,000 customers in more than 70 countries. 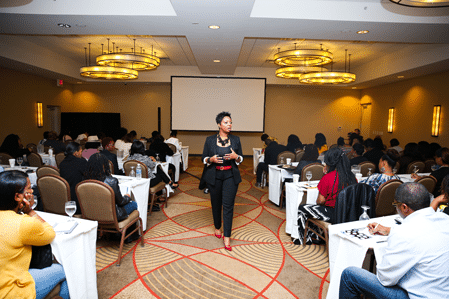 She is also a professional speaker and trainer, mainly at live events, such as her Lace Wig Mastery Training Seminar and Million Dollar Stylist® LIVE! Dream! 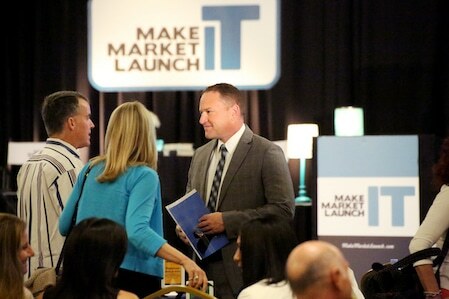 During the event, you’ll learn the secrets to making any “impossible” dream a reality. So why not start dreaming big? I’m serious, you’re about to find a gear you never knew you had. Listen, just ONE new client, product sale, or deal pays for your entire event (and then some)! You’ll get to meet and get to know some of the best entrepreneurs on the planet. 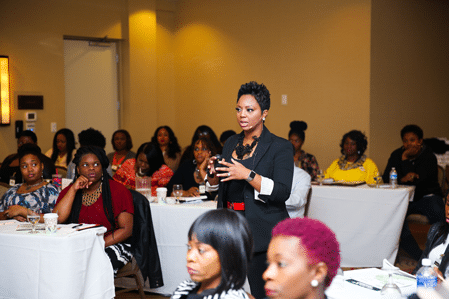 So while the rest of your competition is sitting at home watching re-runs of The Jersey Shore, you’ll be making connections that can change your life and business. FACT: You were put on this planet for a very specific purpose. In fact, if you are like me, you’ve probably known your entire life that you’re different. But for some reason, you’ve held back. Perhaps it’s fear. Perhaps it’s the negative voices in your head. Perhaps it’s that you just didn’t have the confidence. Whatever the reason, there is one thing I know. It’s time for you to finally connect to your purpose. And it’s time to get there NOW. Listen…if all you did was come to this event for Part 1 it would be worth it. Now…here this is what makes this event very different from anything you have ever attended. YOU WILL LEAVE WITH A VERY SIMPLE PLAN (A FEW STEPS) FOR CREATING BREAKTHROUGH INCOME, IMPACT, AND LIFESTYLE. Every business is different so your plan will be different. But no matter who you are, you’ll leave knowing what to do and how to do it. Can you imagine how freeing it will be to know, without a shadow of a doubt, the steps that will lead you directly to the success you’ve always wanted, but never achieved? This is where most plans fail, but where you will succeed: PROFIT. As a famous General once said,“No plan survives contact with the enemy.” Let’s face it – we live in a real world where people change and markets change with them. That means your plan needs to be versatile enough to profit when the market is up and down. The best entrepreneurs in the world profit wildly during times of boom and bust. And you can too. In this part of the event, you’ll discover your TOP 3. These are the 3 activities that will drive more leads, customers, sales, and profit than anything else you do. 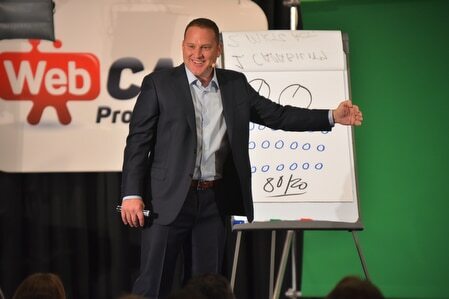 Listen…most business owners are doing 100 different things – and then have another 100 they want to do but don’t have time for. 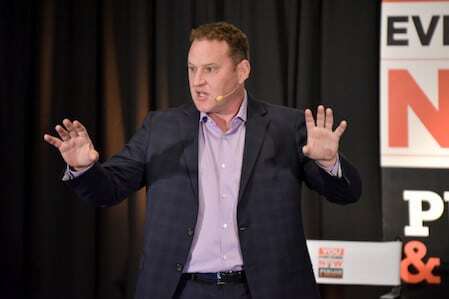 What would it be like to know with 100% certainly the 3 things in your business that drive all of your leads and sales? Because this is an intimate training event, you’ll get to share your ideas LIVE and get real-time coaching and feedback on your implementation steps. Huge breakthroughs come in these sessions...and you’ll learn a LOT from other attendees focus sessions as well. Listen, if all we did was schedule 3-hours just for you to get to know the other attendees, it will have been worth it. You’ll meet new people who can help you get more done, in less time, with less waste. Business deals get made here. New partnerships forged. You may even meet someone who can help you in a strategic area of your business. This is key...so be sure to plan to be there the entire time and use the breaks and evening sessions for maximum result. Join Ed Rush & Marquetta Breslin for 3 Destiny-Changing Hours! I can’t wait to get to know you and work with you personally. Enroll now and get ready to accelerate your speed and success. P.S. This event is ONE part Mindset; ONE part Skillset. So fair warning: we are going to go deep in the area of spirituality. If you’re willing to be open, I’ll help you create a very deep conversation with your Creator that will inspire more clarity in 10 minutes than you had in 10 years. To do that, I’m going to need to talk about spirituality and specifically God (you know…the one from the Bible). P.P.S. If you’re offended by the idea of God, then you NEED to drop everything and COME to this event. I’m serious. Imagine what it would be like to FINALLY hear from God on where you are and where you’re going. And I can assure you that this will be totally life giving instead of weird, wacky, and what you may have experienced the last time you went to church. P.P.P.S. This is the part of the sales letter where marketers insert some kind of “fake scarcity” like “WE ONLY HAVE 97 SEATS LEFT.” Here’s the deal. There is no scarcity other than this: You were made for more. WAY more. And the fact that you’re nodding your head right now demonstrates that you know that. So (if I may be so bold) what do you have to lose? The clock is ticking and the world needs you. Why not take action and create the kind of life and income you’ve always wanted. P.P.P.P.S. Last thing – if you close this page without taking action, you never will. Ever. Don’t fool yourself by thinking you’ll come back here later after you check the dates and get with your spouse. You’ve done that before and let opportunities pass you by. Don’t let that happen to you. Call or email right now. Take decisive action. The world needs you and there is no time to delay. I am super busy. Is this really worth the time and travel? Short Answer: Yes. But you expected me to say that. Long Answer: If you always do what you've done, you'll always get what you've got. Let's be honest. You know you were made for more. And you know you haven't gotten there yet. This event is strategically designed by a Marine fighter pilot who knows how to get you to the target. 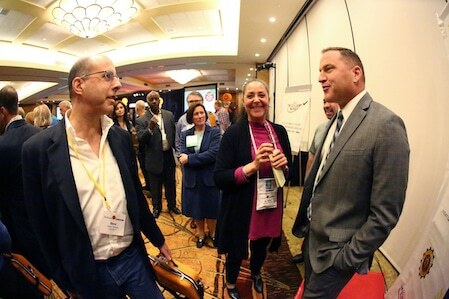 Within the first hour of this Breakthrough event, you'll connect more to your PURPOSE than you ever have in your life. And then (for perhaps the first time ever) you'll create a PLAN that will show you how to make more money doing what you love. I've been to events before, but they were more like sales pitches. Is this event like that? Long Answer: This event disgned with one thing in mind - the result. You will leave with more speed and certainty than you have ever had before. Of course, like an event, there will be some brief discussions of future events, but those are not the core. YOU are! 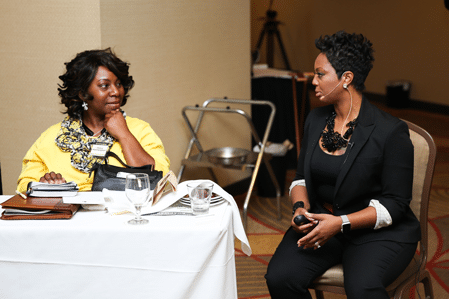 While the answer to that question is ultimately up to you, attendees often tell me that they experience a supersonic speed to success after attending this event. Deals get made here. New alliances formed. You'll find yourself becoming more resourceful, more agile, and more successful. Just take the next step and see why this event has so many return attendees! Register now. And if you are not completely BLOWN-AWAY and on the path to success, just let me or my team know, turn in your materials and we will give you a 100% refund... and we can still be friends. Listen - I know this is going to be the event you're still taking about 10 years from now. You just need to see it to belive it. Meet and Get to Know Some of the Smartest Entrepreneurs on the Planet.